Taste test: These are very thick tortilla chips with lots of crunch. 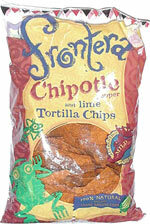 They're tasty, with a nice mild chipotle flavor, and a good little kick of heat in the aftertaste. We didn't notice any lime flavor. 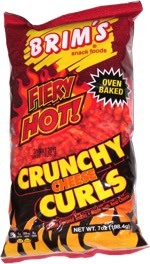 We had them with salsa, and that was a good combo, but there's enough flavor on these chips that you can have them without salsa and still get lots of flavor. Smell test: Smells like a corn tortilla.